So, I've had an ongoing issue that I haven't had time to bring up, and after a bit of searching, I've gotten nada. 5,000~ miles since being on the bench. I have idle set at 840-860~ rpm in neutral with the AC on, that's where the truck likes to be with the 5Ks and ceramic dual disk. Now... after a longish drive, 60+ miles or an hours worth, the idle will DROP to 730-750 in neutral and gives the truck a slight lope (27° timing plus lower idle being the culprit I assume) ECT around 180-195ish. Runs perfectly aside from that. Here's the weird part. After the truck is shut off and has time to cool off, say around 30 minutes, BOOM, back up to 860rpm in neutral. My next move is to call Seth, but I'm genuinely curious if anyone else has ever had this issue or has even heard of it??? Have the idle screw actually sitting on the arm? I had to screw with my apps linkage to get the thing right. Good point... I don't think that it was, but I will verify. But that wouldn't explain how the idle goes back up to the initial adjustment after the truck sits for a little while, or at least I don't think it would. 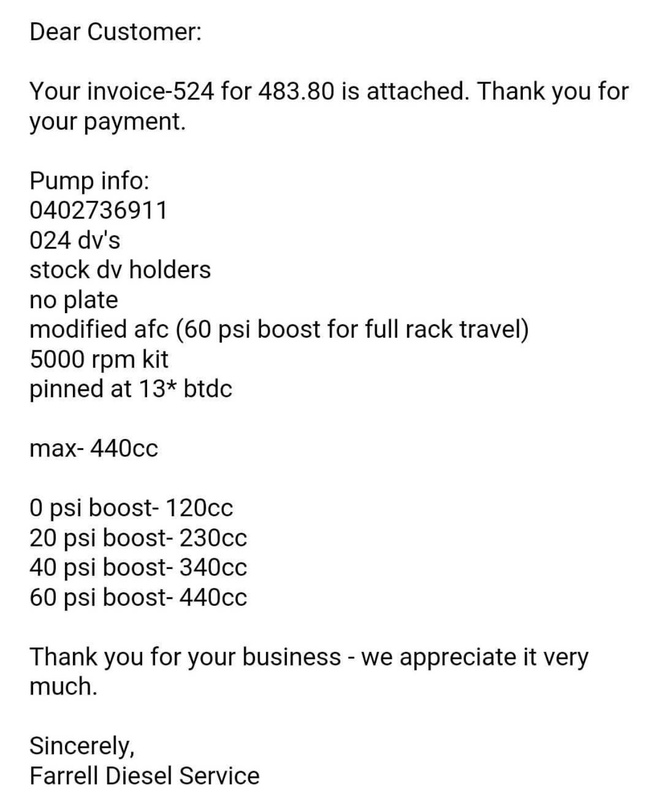 Did you ever try running the stock 12v lift pump? I never had much luck with the electric pumps. Wasn't aware that the 24V cam had the lift pump lobe to use one. Pressure isn't the problem, and I doubt volume is either, as the truck still runs fantastic, heck, even the idle change is a minor inconvenience at best, just a puzzling condition. Just curious. After FASS number 3 quit on me I switched to a PDR cam with a lift pump lobe . The p-pumped 24 is a bit different, but I always felt it ran cleaner than a 12V at the same power level, and more reliable than the vp. Spring relaxing in the apps bracket. I agree. Low lift flow is so much better. Definitely helps with response and less smoke. Last edited by jlbayes; 05-26-2017 at 08:09 AM. I've had pretty good luck with them, but I'm not against a nice gear driven waterman if I ever win the lottery. And they are a different animal for sure.